Complete Range of Locksmith Services. Car, Home, & Commercial Locksmith Services. At Tucson Locksmith 24 we are available 24/7! We are ready to help you with all of your locksmith needs! Fast, Professional & Affordable Locksmith Service. Locked out? Lost keys? Need to improve the security of your property? Call Us! Locked Out of Your Home, Car or Office? Tucson Locksmith 24 offer complete range of locksmith services. We’re available 24/7 for all your lock and key needs! When you’re looking for a professional locksmith in Tucson AZ, call Tucson Locksmith 24 for fast and reliable locksmith services. Our skilled Tucson locksmith team can help with any type of project, including re-keying, lock installation and repair, car key replacement and lockout services. We’re also here to help in an emergency! The Tucson Locksmith 24 call center team standing by to learn about your situation and dispatch a technician within 25 minutes! 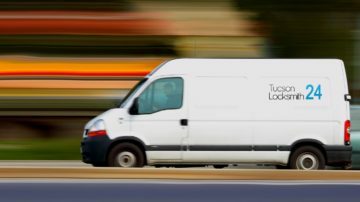 Our Tucson locksmith services provided by mobile locksmith units, we offer our locksmith services straight out from our work trucks. We will arrive at your location fully equipped with all the tools, locks, keys, and parts we need to complete all type of locksmith Tucson job on site. 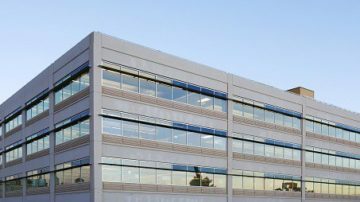 We will never leave the job site until we verify that the work has been done properly and to your satisfaction, we have built our reputation for many years as a company that provides high quality and professional service, and we intend to keep it this way. You can always count on Tucson Locksmith 24 for FAST and professional services. Our skilled team can handle a variety of Tucson lock and key projects for your car, home, office, and business. We’ll dispatch a skilled technician in less than 25 minutes and always deliver the best service at the most affordable price. Including high security locks, rekey service, locks repair and installation, home lockout service, mailbox lock replacement, and more. Including master key systems, lockout service, exit devices, heavy duty locks, panic bar, locks changed and rekey service, and more. 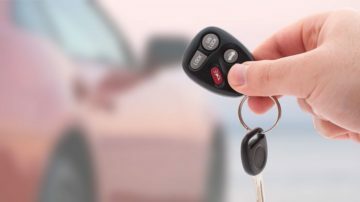 Including transponder chip key program, ignitions repair and replace, car key replacement, car lockout service, and more. FAST 24-hour locksmith Tucson service, including lockouts, car key replacement, locks service, re-keying, and more. Just 25 minutes until the technician arrives at your location! I called to Tucson Locksmith 24 for house lockout service and locks installation service after i lost the last key for my house. Mike was my locksmith, he arrived after 15 minutes and start to work immediately. First i want to say thank you Mike and Locksmith Tucson for fast and professional service exactly when i was need it, and second, you can be sure i will call again! I locked myself out of my house at a beginning of crazy busy day, l was needed a fast locksmith service to unlock my door ASAP, so i looked on google for lockout service and found Locksmith Tucson, on the phone the nice lady says about 25 minutes but the locksmith arrived after 10 minutes! Thank you! You saved my day!! After i lost my second and last key for my truck i had no choice but to call a locksmith for car key replacement service. Mike from Tucson Locksmith 24 answered my call right away and he was very nice and professional, he showed up after 30 minutes and my 2 new keys was ready quickly. Definitely the best locksmith service i ever deal with. Highly Recommend! We moved to new office and we needed our new office locks rekeyed, i called to Tucson Locksmith 24and they sent Simon out he was very professional and got the job done quickly at fair price. 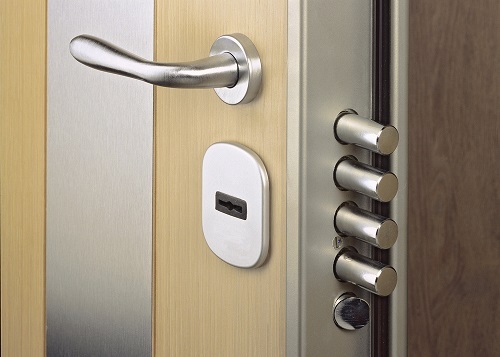 In addition to our basic Tucson locksmith services we also offer high security locks installation to customers that need to increase the security of their property. Our locks specialists working with the top locks brand names in the industry, and also use only high quality parts and the most professional locksmith tools. All of our customers get 150 days warranty for parts and labor. Our experts locksmiths in Tucson have years of experience and can help with all types of locks and keys projects. Do not hesitate to call us for more information and for any question or service request. At Tucson Locksmith 24 we ready to answer your call 24/7! We Offer The Rates in Town! © 2007-2017 Tucson Locksmith 24. All rights reserved.